Love taking selfies? Time to lift your selfie game to the next level? Well then, you have to check out the Canon SELPHY CP1300 selfie printer! 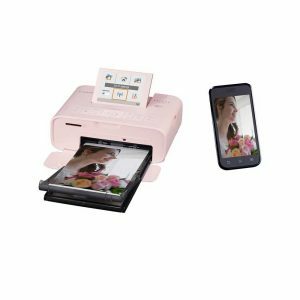 This stylish and portable device allows you to take professional quality printing into the home and share your favourite stories with family and friends. 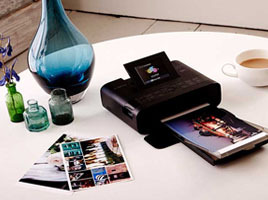 A fast, Wi-Fi enabled photo printer that’s perfect for creating varied prints from smart devices, cameras and much more! The fun will never end as you’ll be able to play around with a range of options and functions including party shuffle, shuffle print and photo booth! Not only this, but there are multiple colour options available to suit every taste! Featuring dye sublimation printing technology, the SELPHY CP1300 can print up to 256 shades of each colour, achieving vibrant true to life photos. At the touch of a button you can choose from gloss and three semi-gloss print finish options without the need to change the paper or ink. Plus, there will be no waiting around as in just 47 seconds you can have beautiful lab-quality photos at your fingertips that resist the effects of fading through time as well as protecting from coffee spills and mucky finger prints. Love this, I’m not good with technical stuff at all but this couldn’t be simpler, now my memory card comes out of my camera into my selphy printer, choose how I want my picture to look and click print!